Subscribe to my monthly newsletter for giveaways from featured authors who provide insight into inspiration and history – both trivia and the serious stuff! You’ll also hear word of new releases and occasional promotions. In appreciation for subscribing, I’m offering a free 80 page short story, Dying for Rome: Lucretia’s Tale. Feel free to unsubscribe at any time but I’ll be sad to see you go! Welcome to my Monthly Inspiration and Giveaway newsletter! What inspires an author to write? And which part of history are they passionate about? Subscribe to my newsletter for monthly giveaways from featured authors who provide insights into inspiration and history – both trivia and the serious stuff! You’ll also hear word of new releases and occasional promotions. 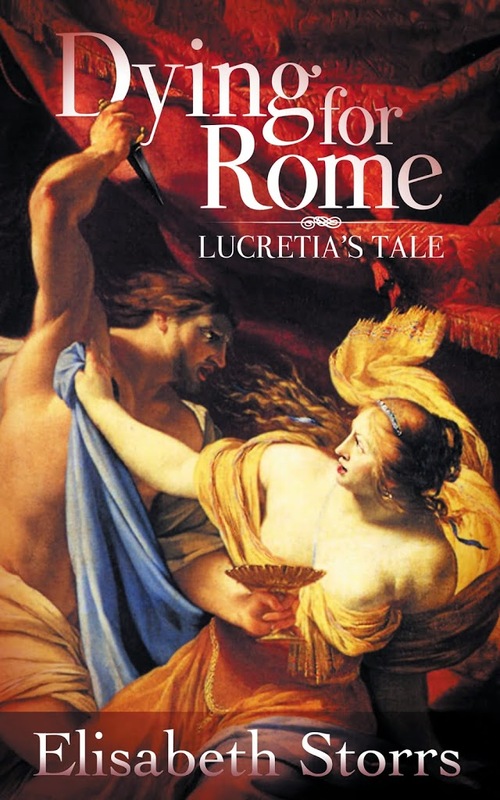 In appreciation for subscribing, I’m offering a FREE copy of Dying for Rome: Lucretia’s Tale, an 80 page short story retelling the historic tale of the tragic girl whose death inspired the men of Rome to rebellion. Was she a victim or a champion?